So the much anticipated CIRC Report was published last week. We were warned that it would make for uncomfortable reading. 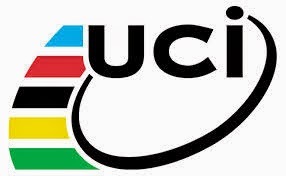 That was probably the case for the bosses at cycling's governing world body the UCI. The likes of Hein Verbruggen and Pat McQuaid must have had acute indigestion at breakfast as they read the report that morning, citing how they turned a blind eye to doping by Lance Armstrong and co.
For some riders, the report was at best unhelpful, at worst insulting when it stated some of the people interviewed reckon 90% of professional cyclists dope nowadays. As with a lot of these things the media has homed in on just one aspect of this 227-page report. 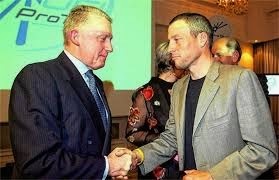 Doping and Lance Armstrong - actually that's two! CIRC does discuss other things: the use of non-banned substances like caffeine and painkillers. They may appear to be performance-enhancing in the immediate term, but can be detrimental over time. For instance, opiate-based Tramadol relieves severe pain so riders can get up and race, though it can also cause drowsiness and dizziness putting riders at risk of crashes. Perhaps the CIRC report does make for uncomfortable reading. However, I don't know if it is any more uncomfortable than reading about the set-up in other professional sports that rely heavily on sponsorship, or the average global corporation, or dare I say it, a bank! Women's cycling gets only a brief mention in the report. It says that Therapeutic Use Exemptions (which authorise the use of a drug for medical reasons) occur in the women's peloton, with some women going to a race with extensive folders of TUE-related documentation. TUEs are often applied for with corticoid, which reduces weight quickly in order to improve power to weight ratio. That is slightly worrying as it also ties in with the issue of eating disorders (not mentioned in the CIRC report). Last week the Wiggle-Honda rider and Belgian Road Race Champion Jolien D'Hoore spoke out about eating disorders and called for the UCI to do more to provide support for women and help to prevent these problems. 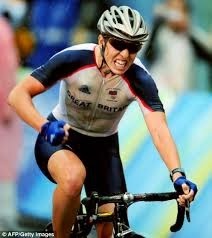 The report highlighted that women's cycling has been poorly supported in the past years - that's not news really. What is quite worrying is that the report stated that examples were given where riders had been exploited financially, and allegedly sexually. Furthermore, team managers of women's team were almost always male and some were not of the quality to get a job in a male cycling team. But yet they were managing women's teams. The report continued that "glaring opportunities to recognise women's cycling for its potential were tainted by a male-dominated sport that failed to realise the potential of women's cycling." Well, the report could have started off by giving more than a couple of short paragraphs out of 227 pages to women's cycling! They could have also interviewed more professional cyclists, not just Nicole Cooke. Rant over. I hope that the couple of points mentioned, which are already significant points will be taken up by key players in the cycling world otherwise the future of women's professional cycling would be very bleak future - with or without doping. MacAskill tricks with the Eclipse!